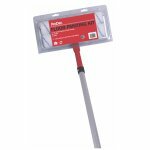 Clear single pack floor sealer / dust proofer. A one component, water-based, concrete sealer based on a vinyl acrylic binder. It reduces dust production, protects the floor against liquid/chemicals and simplifies cleaning. Single pack, easy to apply, non-yellowing clear finish (gloss) and an ideal primer for EpoxyShield ULTRA coatings. 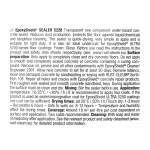 EpoxyShield SEALER 5220 Transparent one component water-based concrete sealer. Reduces dust production, protects the floor against liquid/chemicals and simplifies cleaning. 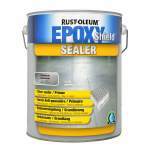 The sealer is quick-drying, very simple to apply and is suitable for light duty. It is also an ideal undercoat for EpoxyShield° ULTRA 5200-series floor coatings. 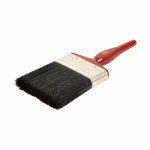 Only apply to completely clean and dry concrete floors. Do not apply to smooth and completely sealed concrete or concrete containing a curing compound. 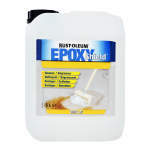 Remove oil, grease and all other contaminants with EpoxyShield° Cleaner/ Degreaser 2901. Allow new concrete to set for at least 30 days. 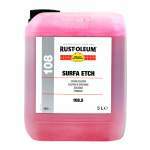 Remove laitance, loose and damaged concrete by sandblasting or keying with RUST-OLEUM Surfa-Etch 108. 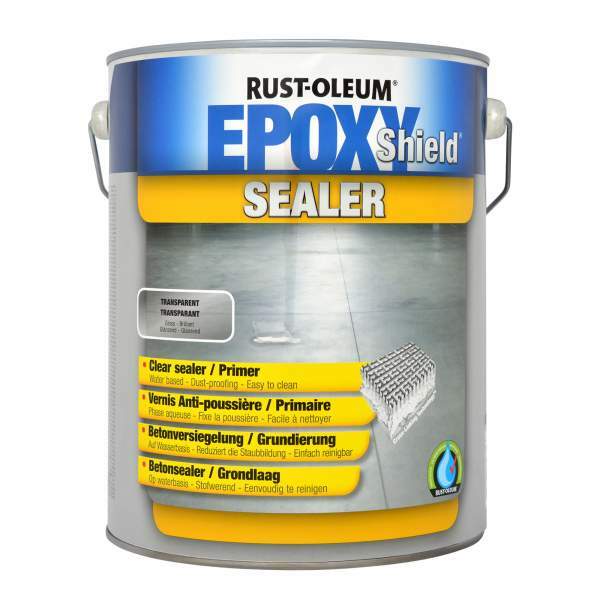 Repair all holes and cracks with EpoxyShield° concrete repair products. First roughen well-sealed and smooth concrete (sandblast, key). During application the surface must be clean and dry. Stir the sealer before use. Application: (temperature: 10-35°C / <85% r.h.) It is recommended to apply two coats. If the product is used as sealer/impregnation coat for EpoxyShield ULTRA 5200 coatings one coat can be sufficient. (at 20°C / 50% r.h.)Touch dry: 1-2 hours — Recoatable 6 hours — Safe to walk on: 8-12 hours — Temperature and humidity affect the drying times. Around 10m² per litre per coat dependent on surface and application. Two coats recommended.